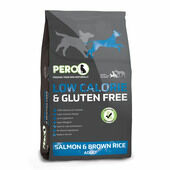 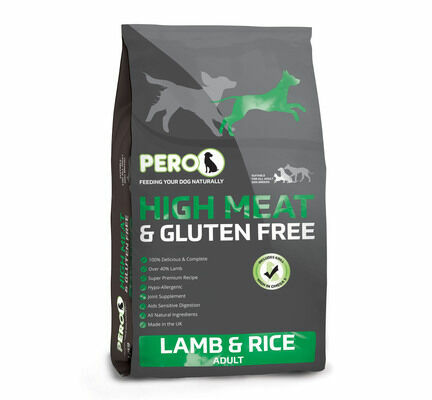 A great source of protein with a delicious taste, this Pero High Meat Lamb & Rice contains over 40% lamb, a hypo-allergenic meat source suited for dogs with sensitive digestive systems. 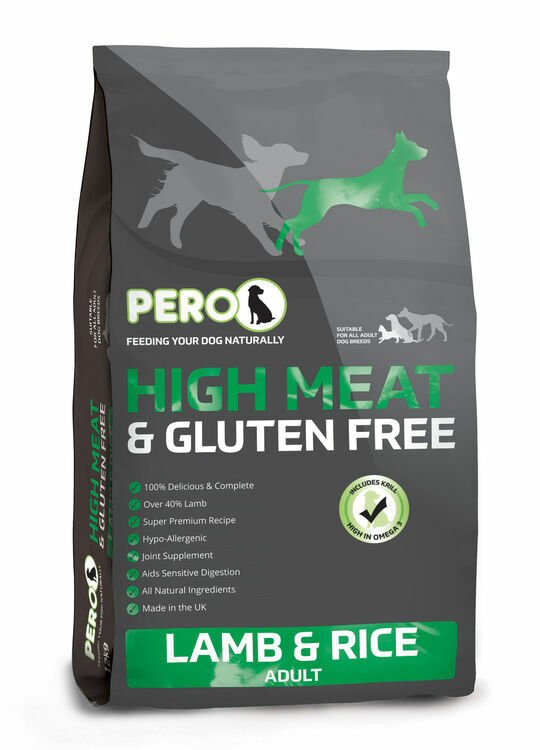 With no beef, soya, or dairy products that can cause and allergic reaction, this food uses natural ingredients with glucosamine and chondroitin for healthy joints and active lifestyle. 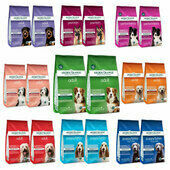 With the addition of omega 3 packed Krill, this food ensures that your dog enjoys a healthy coat and skin. 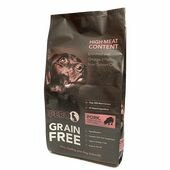 Declaration Analytical Constituents: Crude Protein 24%; Crude Fat 12%; Crude Ash 9.5%; Crude Fibres 2.5%. 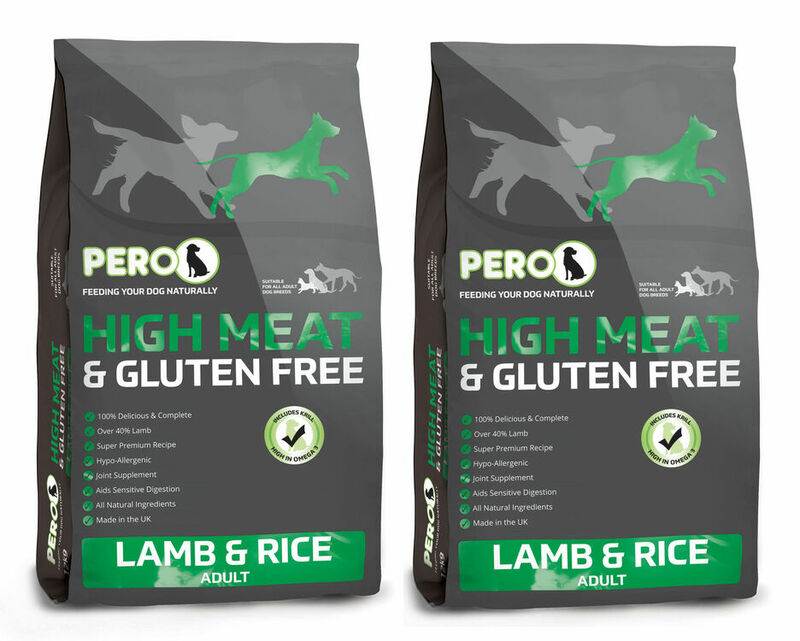 Composition: Lamb (36% - Lamb Meal 27%, Fresh Lamb 9%), Whole Rice (35%), Beet Pulp, Lamb Fat (6.5%), Potato, Peas, Yeast Extract, Minerals, Malt Extract, Krill (3730mg/Kg), Glucosamine (150mg/kg),Chondroitin Sulphate (75mg/kg), Yucca Extract, Cranberry Extract. Additives (per kg): Vitamin A 24,500 IU, Vitamin D3 2,450 IU, Vitamin E 392 IU. 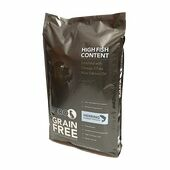 Trace Elements: Zinc Chelate Of Amino Acid Hydrate 233 mg, Zinc Sulphate Monohydrate 68 mg, Iron Sulphate Monohydrate 93 mg, Manganese Sulphate Monohydrate 55 mg, Cupric Sulphate Pentahydrate 14 mg, Calcium Iodate Anhydrous 1.72 mg/kg, Sodium Selenite 0.32 mg. Antioxidants. 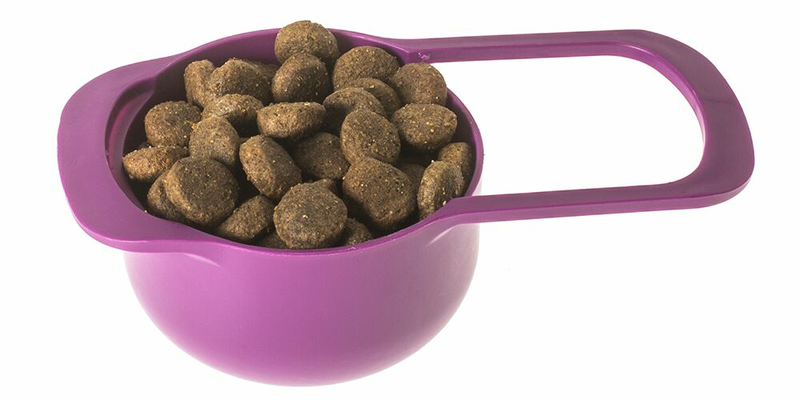 Our GSD will only eat small kibble, so this is perfect for my 2 GSDs' and Labrador. 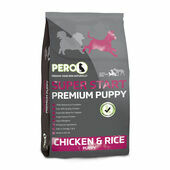 Dog has always enjoyed Pero since he was a puppy. 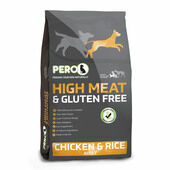 Used for years, dogs love it and stay healthy.